On the third day of Chinese New Year, I went to 1 Utama to buy some stuff. 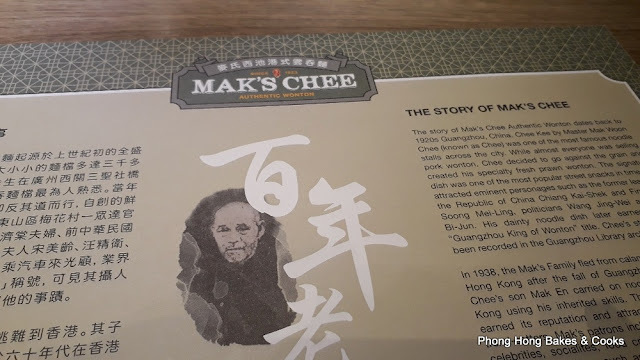 That's when I decided to drop by Mak's Chee to try their authentic wanton noodles. 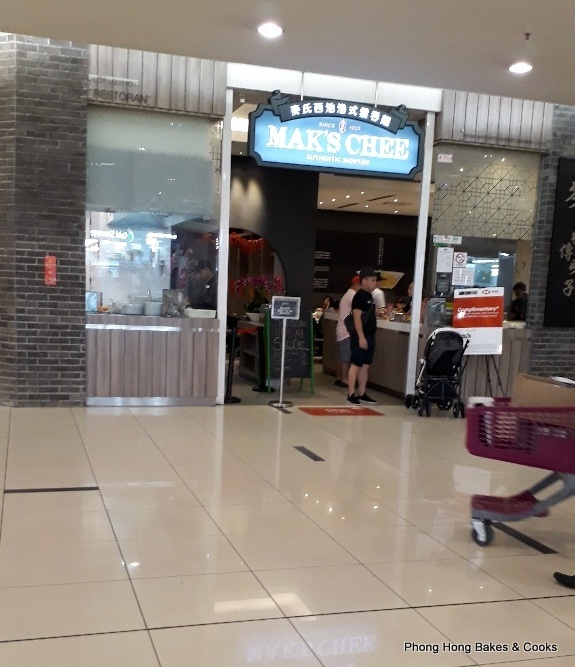 I have always wondered, why is this place called Mak's Chee? What is this "Chee"? Apparently the "Chee" refers to Chee Kee by Master Mak Woon Chee which was a famous noodle stall in Guangzhou, China. 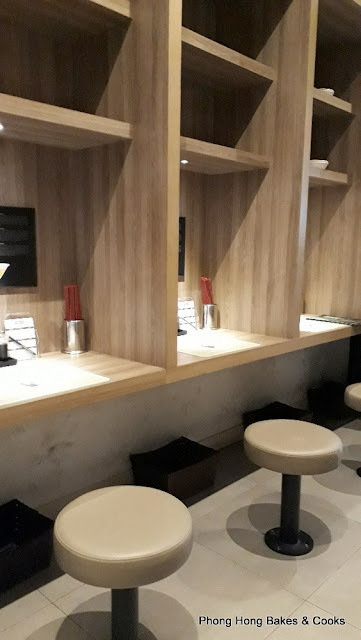 Since I was on my own, I went inside this room which had individual booths. It felt a bit strange at first. There were two other customers to keep me company. 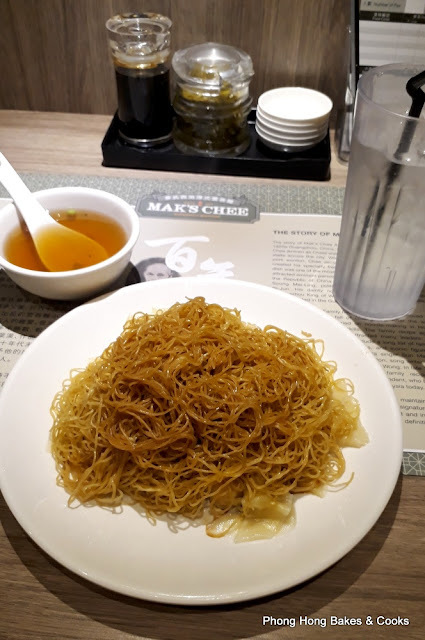 I read about the Prawn Roe Dry Noodle (RM14.90 L) and that was what I ordered. The sprinkling of prawn roe was not as generous as some I have seen on blogs. 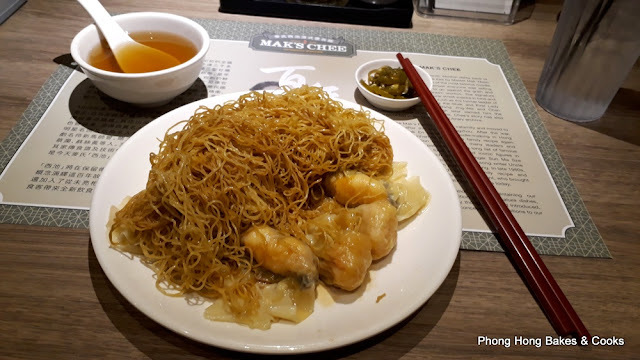 The taste was alright, fishy (in a nice way) and the wanton is lightly seasoned, unlike our usual wanton mee which is drenched in dark sauce. If you find that you need more flavoring, you can add soya sauce which is available at the table together with pickled green chilies. 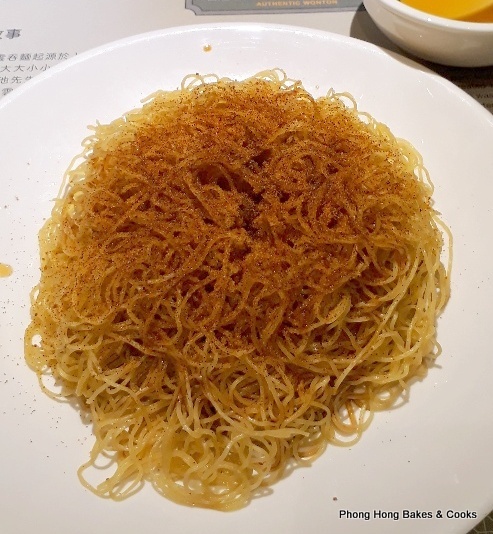 It was just noodles, no substantial protein (well, the prawn roe is protein) and if I had spent a bit more time studying the menu, I could have ordered the Wanton and Dumpling Dry Noodle with Prawn Roe. That would have made a more substantial meal. Or I could have added one of their dumpling soups. The noodles are a bit on the dry side, I mean not dry until you choke, if you know what I mean. But there is a small bowl of soup that comes with it and I did add some soup to my noodles. The soup tasted quite alright. 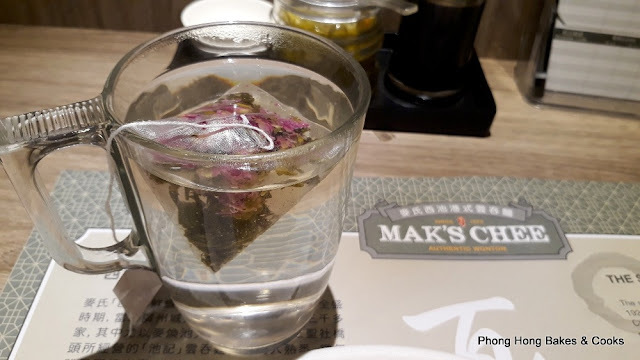 The Rose Jasmine Tea (RM3.90) was very fragrant. The tea bag looks rather pretty. Since I only had noodles, I got hungry really quickly. So. Hee..hee..hee... a large serving of IlaoIlao frozen yogurt with some sprinkles and berry sauce. 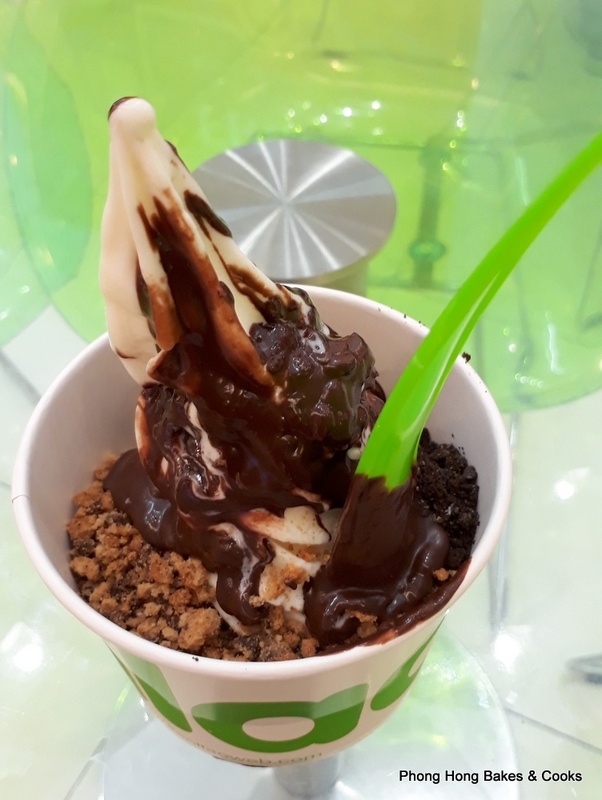 This serving costs RM18.85 with 3 toppings and by using Favepay, I got an immediate cashback of RM3.92, so I paid RM14.95 (after rounding). I went back to Mak's Chee for the Wanton & Dumpling Dry Noodles (RM16.90 L). There was a peanut sign on the menu for this dish which I did not understand until later. Eh, where are my wanton and dumplings? Ah... they were hidden under the noodles. This made for a substantial meal and I enjoyed the wanton and dumplings. When I bit into the dumpling, that's when I tasted peanuts. It was not unpleasant but rather nice. I did not mind the peanut paste in the filling at all. I left happy and I would not mind coming back, though personally, if you asked me, I prefer our local wanton mee. There was something else I had to have again. This time with crushed cookies, chocolate and hazelnut sauce. The yogurt itself is not flavored and no sugar is added so it is very tart. It tastes milky and sour and somehow I was OK with it even though I do not like plain yogurt. 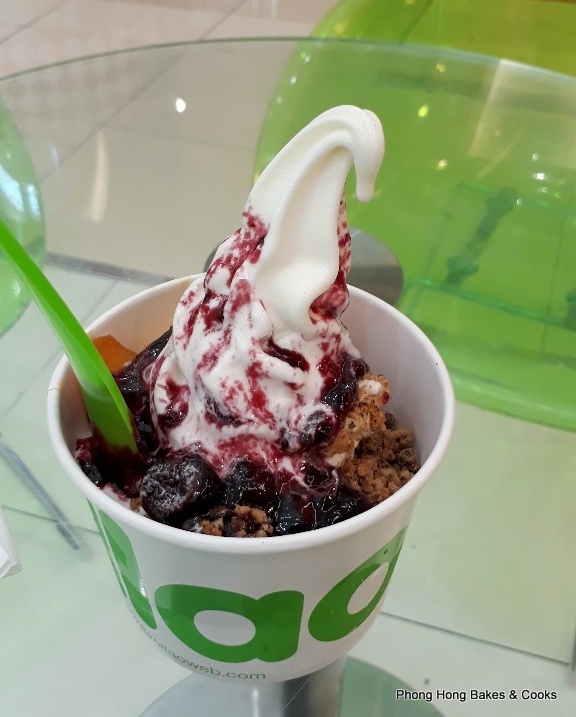 Eaten with the toppings, they balance out the tartness and made this yogurt very enjoyable indeed. Good to see you truly enjoyed your lunch combo of noodles and yogurt on both days. Yummy! During my recent visit to Mak's Chee, I find that the taste of their soup is no longer fragrant with the taste of dried fish flakes (something like bonito flakes). So sayang, the taste of the soup was very nice during my initial visit but now the taste is lacking. I must go eat the dumplings again because I did not taste peanuts when I ate them last time. Oh, is that so? That's why I found the soup quite mild tasting. Do try the dumplings with peanuts and let me know if you liked it. The noodle didn't impressed me. But yogurt anytime for me. Lol. 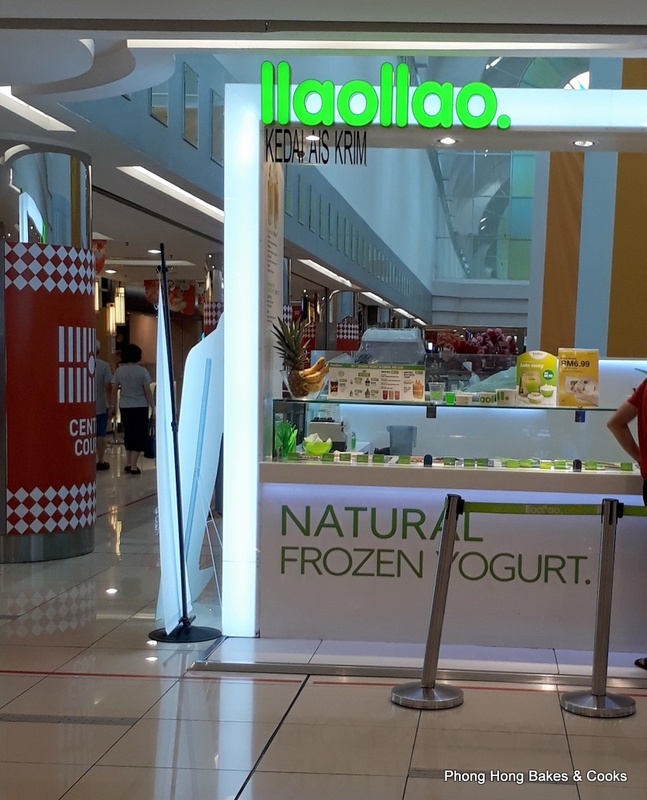 Been once to llao llao. Nice but not cheap. 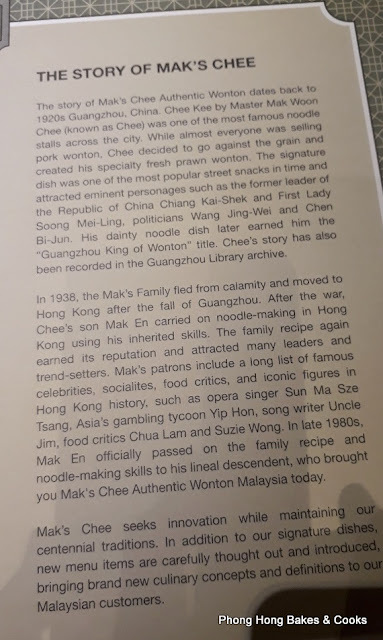 I much prefer our local wanton mee and I believe you would too. Oh really? Then tasting it in 1 Utama is good enough for me hah..hah.. Plain yogurt is definitely better without addition of all those extra calories. Thanks for your new year wishes. 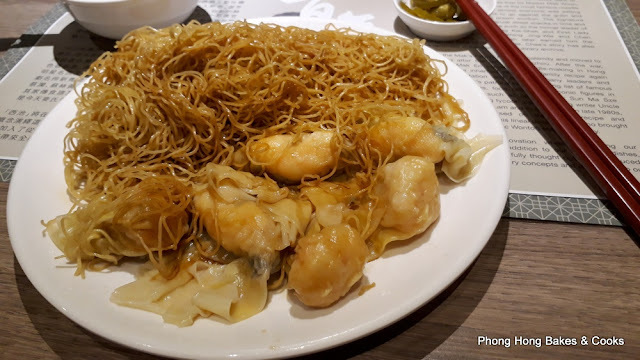 For some reason, that's how they like to serve their noodles...they always hide their wontons and dumplings underneath their noodles. I've not tried the dumplings before but now that you said they have peanuts in them, I'm not so sure I'd like the taste. You know, I was looking for the rice with luncheon meat and fried eggs but they did not seem to have it. 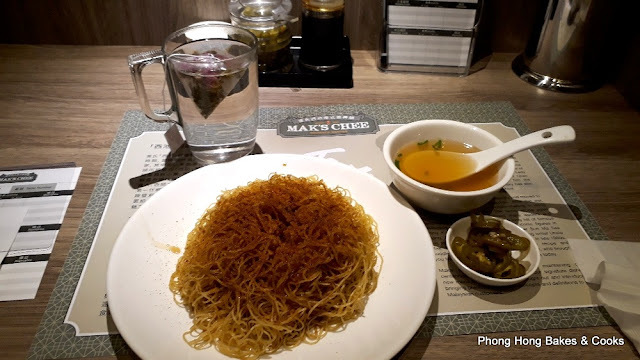 Yes, I should have tried the soup version wanton mee and that's what I will do next visit. I don't think all the dumplings have peanuts, just watch out for the peanut sign on the menu. ah...repetitive food....I mean 2 days in a row although slightly varied. I would prefer our local wonton mee too with dark soy sauce, coz this one looks dry and dull. Ah, now I crave for gigantic wontons!!! 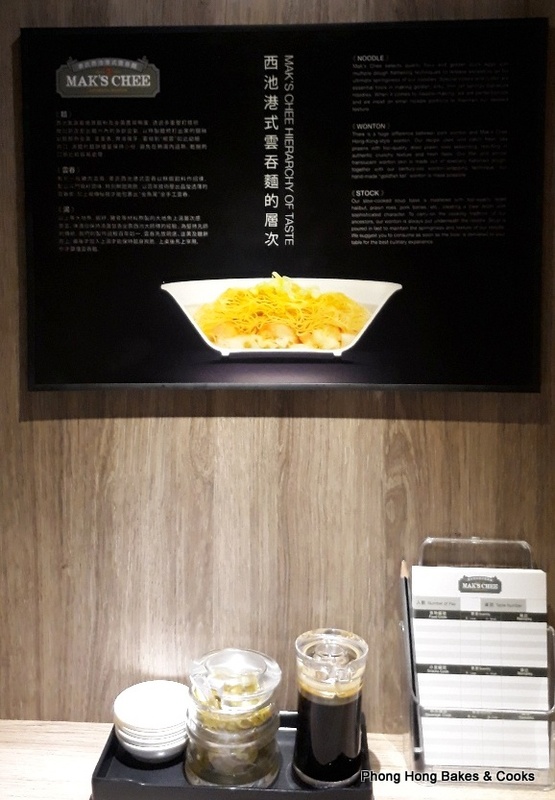 You can order just the wanton with soup. 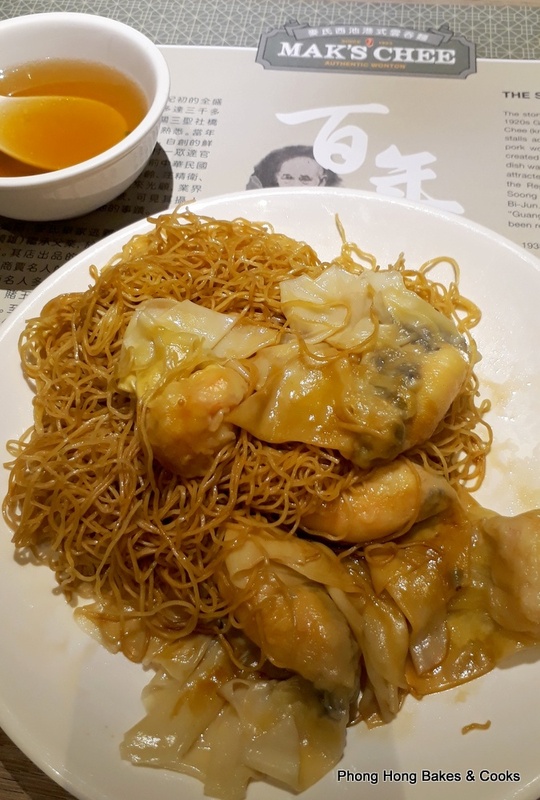 I thought the wanton was quite nice. The first time was rather so-so as I understand, but the second one looked much better! 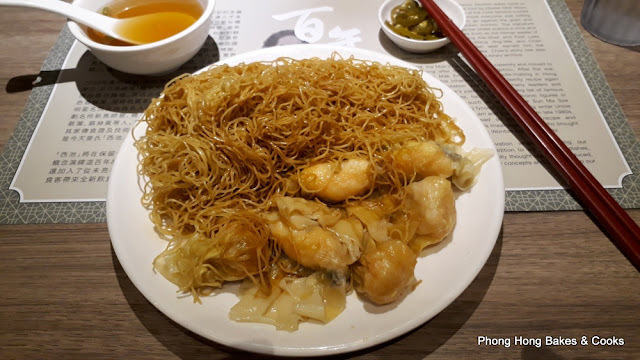 I don't really fancy HK style wanton noodles, still prefer the local version. Ilao ilao, i had tried once or twice, expensive, i tried it with the crushed peanuts and fruits, nice! I think I am addicted to IlaoIlao LOL! Yeah, me too! Next visit I will try the soupy wanton noodles. I had some special noodles for lunch today too! I think yours look much nicer. Ah, I will be checking out your blogpost after this. 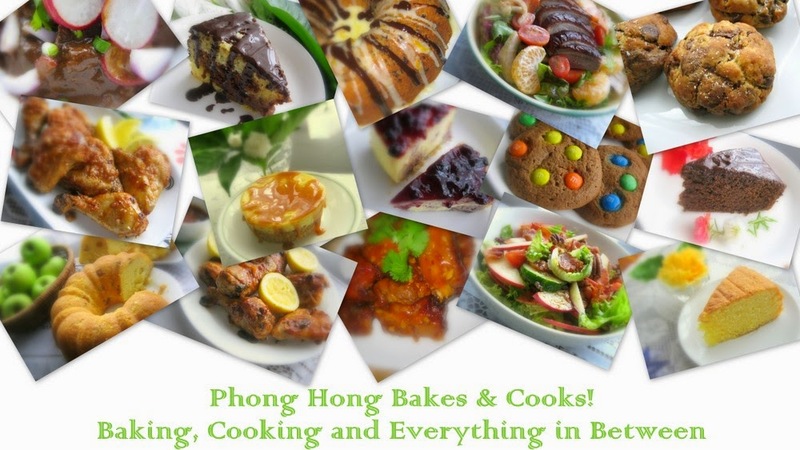 I still remember that Mak Chee's opening saw many customers queued up for many miles everyday!!! I only had chance to eat after few months and was not impressed. Now the crowds have vanished, so I was not wrong. That's what I heard, long queue, that's why I waited until now to try it. I think we locals prefer the black-black wanton mee. LOL!